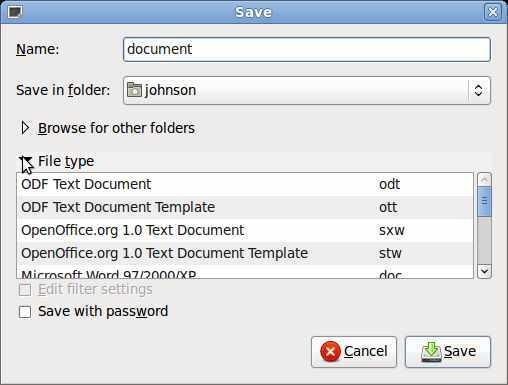 Open Office is a free word processing program which is very similar to MS Word. Open Office is usually preinstalled on Ubuntu, Fedora, and other Linux OS by default. 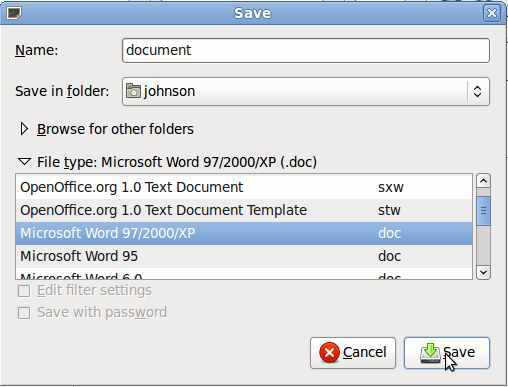 In this tutorial, you will learn how to save files as .doc files, so people who use Microsoft Word can open your files. 4. Find and click on Microsoft Word 97/2000/XP (.doc) and click save. 5. Click on Keep Current Format button. 6. Now your document title should have a .doc extension.